The Essentials Series offers a wide selection of classic and contemporary panel doors to choose from. Gliderol's panel doors use modern design concepts to provide new levels of performance and styles. Featuring a raised panel design, the Panel Glide comprises a number of hinged rigid sections which slide overhead creating a lightweight stylish garage door. 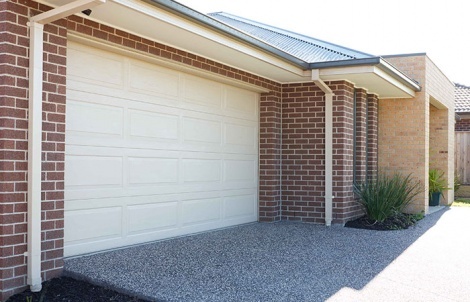 With a choice of four designs, Oxford, Madison, Tuscan and Hampton, the Panel Glide Colourbond finish will enhance your home's street appeal. The Panel Glide is Australian designed and manufactured specifically for Australian conditions.